You want a white, straight, perfect smile, but you don’t have the time for a lengthy smile makeover, the resources for a makeover with a higher price tag, or the desire to undergo any irreversible alterations to your permanent teeth. These are all understandable reservations, but you still don’t have to live with an imperfect smile that makes you unhappy. Time to consider the convenience, speed, and affordability of the Snap-On Smile. What does a Snap-On Smile fix? The Snap-On Smile is not permanent, so it won’t fix anything in your mouth – but it will make your teeth look better. You can hide the space from a missing tooth, elongate short teeth, and conceal gaps, crooked teeth, chips, and more. Your New York City cosmetic dentist will not recommend the Snap-On Smile if your teeth and gums are not healthy. There is no benefit to you to cover up what’s wrong with your oral health – problems like decay, cracks, and gum disease will not go away on their own and you won’t be able to forget about your dental problems just because they’re covered up. Will the Snap-On Smile work for me? You wish you had a better smile, but you want to give a smile makeover a test-drive before committing. You’re mostly OK with your smile, but wish you could have a better smile sometimes, such as for a major social occasion, a wedding, or photographs. You’re waiting to complete another restoration, like dental implants, and want your smile to be complete in the meantime. You don’t have the time or the means to undergo a more permanent smile makeover. You’re worried about undergoing an invasive cosmetic dentistry procedure. 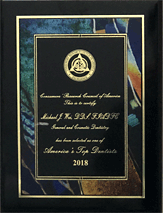 You’re under a doctor’s treatment for a serious health problem and cannot undergo invasive dental treatments but still want to improve your smile. The Snap-On Smile isn’t necessarily meant for all-day, everyday use. Your teeth and gums must be healthy to qualify for a Snap-On Smile, a requirement for every cosmetic dentistry treatment. Why should I choose a Snap-On Smile instead of another cosmetic dentistry treatment? The Snap-On Smile is an attractive alternative to porcelain veneers. For the patient who wants a quick and affordable smile makeover, the turnaround time for this treatment is fast – it only takes about two weeks for your Snap-On Smile to be ready. If you have anxiety about drilling, shots, or pain, this treatment is non-invasive. How long will the Snap-On Smile last? Snap-On Smiles are durable, but they aren’t meant to last forever. Your appliance can last for three to five years with proper care and cleaning. Is a Snap-On Smile a denture? No, a Snap-On Smile is not a denture. It is a dental fixture that is snapped over your natural teeth, but it does not permanently replace missing teeth. The Snap-On Smile does not require the use of a dental adhesive. Does the Snap-On Smile look fake? If you want natural-looking teeth, you can have that with a Snap-On Smile. The appliance is customized in shape and color so that it flatters your appearance and looks just like your permanent teeth. What does the Snap-On Smile feel like? The Snap-On Smile is an appliance that you snap into place in your mouth and snap out again. It is comfortable to wear and covers your teeth but not your gums. You can eat while wearing your Snap-On Smile, but you want to remove the appliance and clean it as soon as possible after a meal so your natural teeth are not exposed to food particles and plaque and therefore run the risk of decay. Can I afford a Snap-On Smile? The Snap-On Smile is a fraction of the cost of porcelain veneers. The question shouldn’t be whether you can afford it, but whether you can’t afford it – not having an attractive smile can cost you professional, personal, and social advantages. 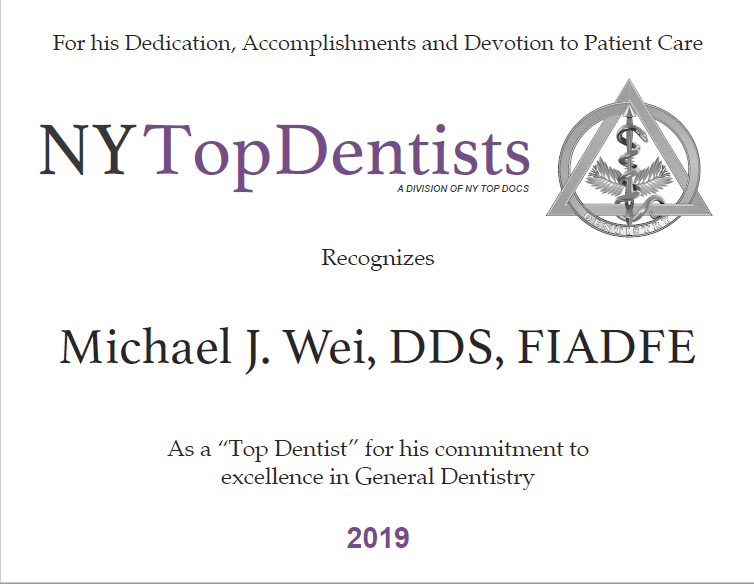 Contact Dr. Michael J. Wei at his Madison Avenue cosmetic dentistry practice to schedule your consultation and find out if you’re a good candidate for the fast, affordable, and convenient Snap-On Smile.